The 24 shadows are housed in the upper compartment of the Tarteist Trove, with a large mirror on the underside of the lid. Two separate drawer compartments pull out to reveal the powdered cheek colors and the three mini-sized deluxe samples. 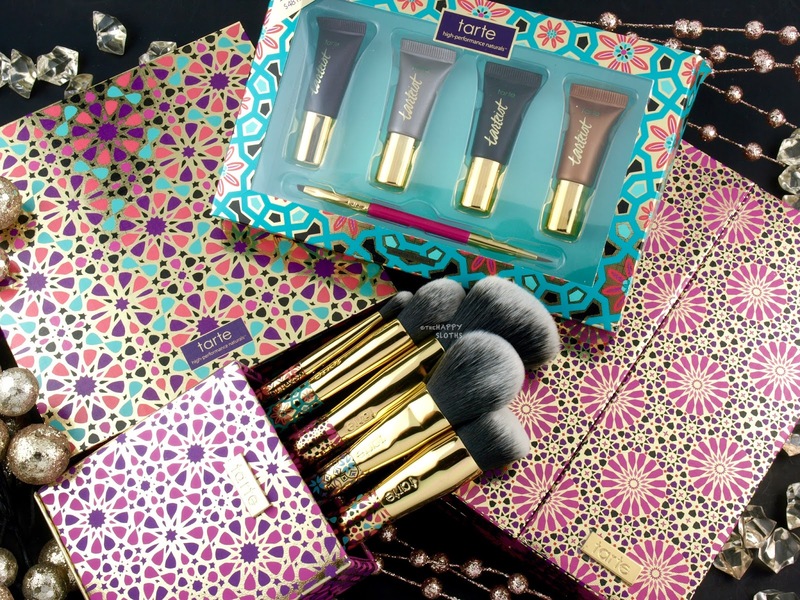 The overall packaging is very sturdy and well-made and the eyeshadow insert is actually plastic instead of cardboard. With the exception of the mascara and lipgloss, which are made in Italy, all the other products contained in this set are made in China. This is worth noting as most of the products in the Treasure Box Collector's Set (see below) are made in the USA. 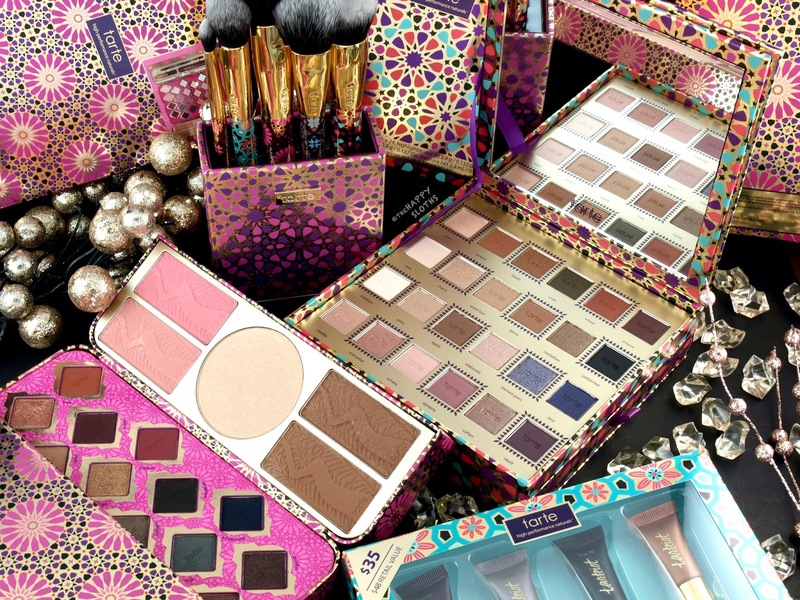 Now I'm not saying that anything made in China is automatically inferior in quality but there is a big discrepancy between the powder formulation of this set and that of other Tarte palettes and sets I've tried in the past. Although decently pigmented, all the shadows feel rather chalky and powdery, and this especially true with the matte shades. With the shimmers and metallics, the formulation is not patchy and dry but they are very loose and thin. As a result, they don't build and blend very well. The same is true for the cheek powders. 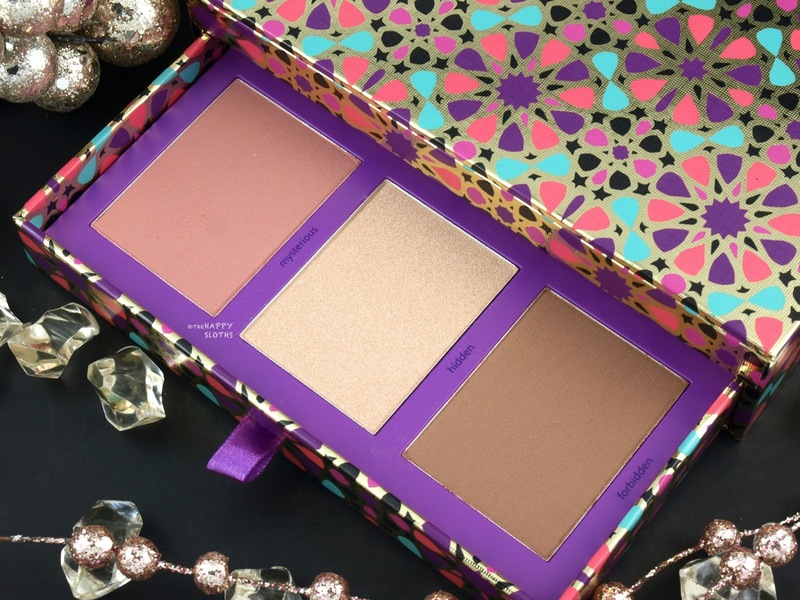 Although much creamier in comparison to the shadows, the texture and pigmentation are nowhere as good as that of usual Tarte highlighters and blushes. 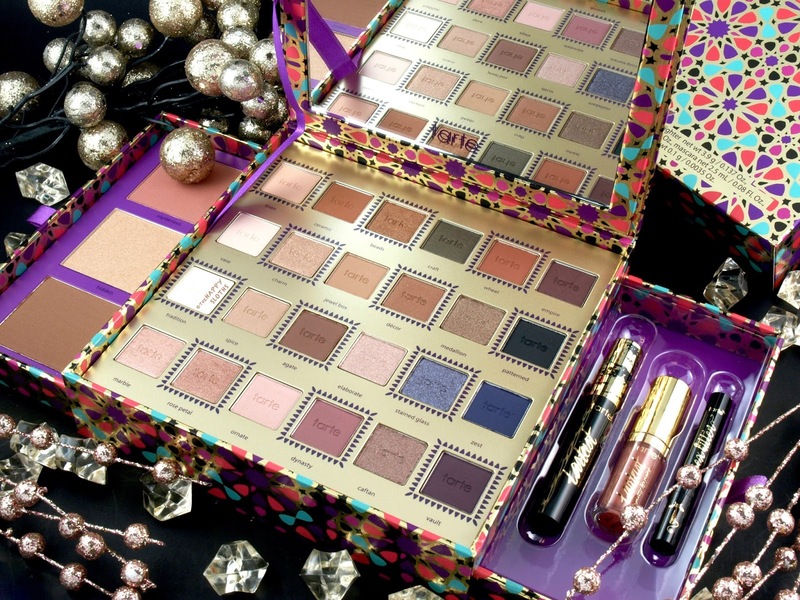 For the sake of brevity, I won't be swatching or reviewing the deluxe sample products as they are simply added bonuses that aren't the bread and butter of the set. 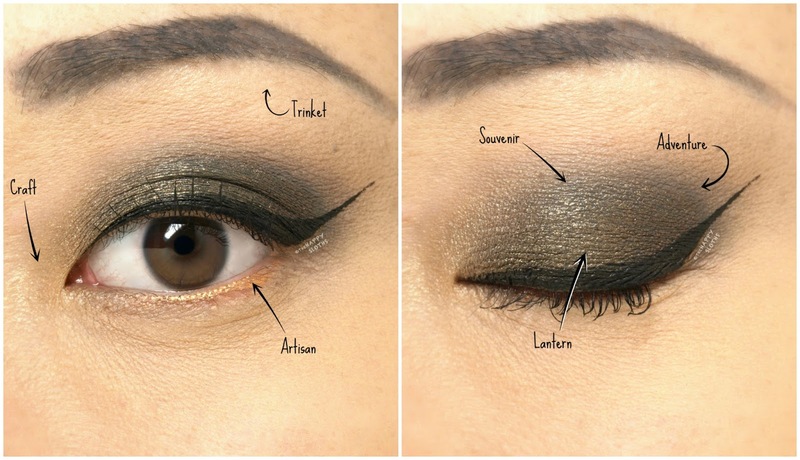 Below is a look I created using a few of the eyeshadow shades from the Tarteist Trove palette. I like how the look turned out but I actually ended up having to use "Rose Petal" wet because the color just wouldn't show up on top of "Vault". Additionally, the shade "Dynasty" actually left a pink stain on my lids even though I made sure to prime beforehand. 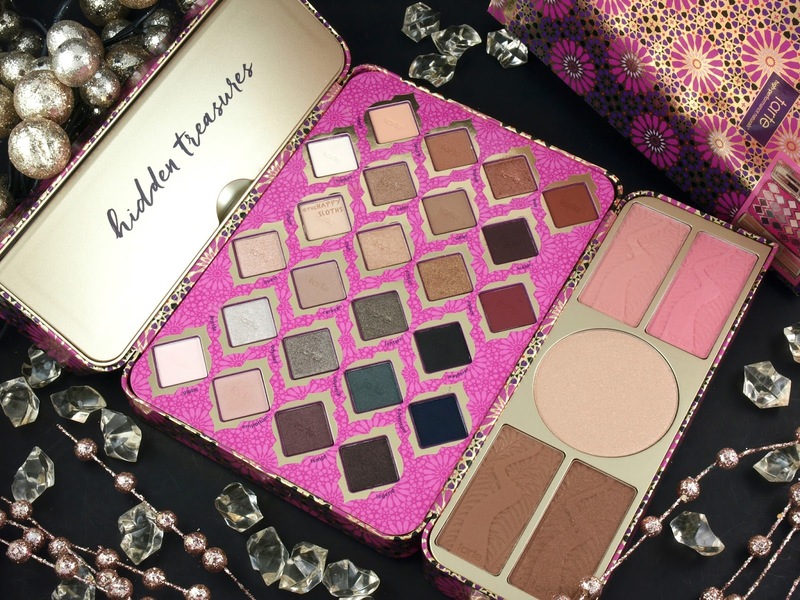 Overall, this may not be a bad value set for younger teens or makeup novices but if good formulation and color payoff are imperative to you, then I'd recommend looking into another holiday set such as the Treasure Box Collector's Set (see below). 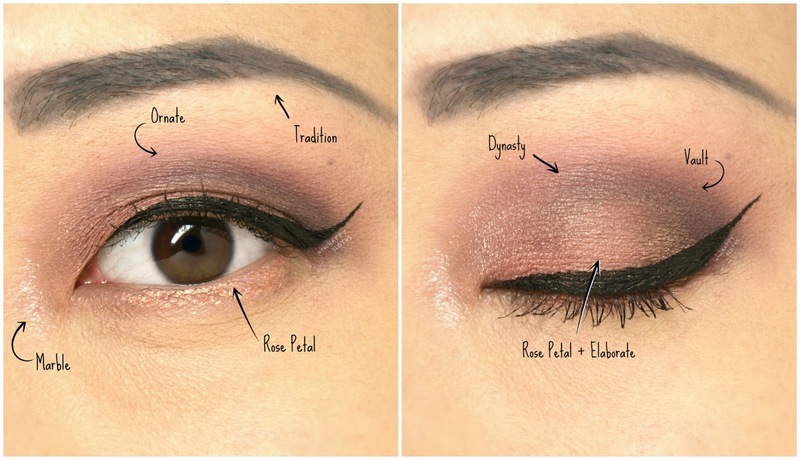 The eyeshadows are kept on one panel while the cheek powders are kept on another. 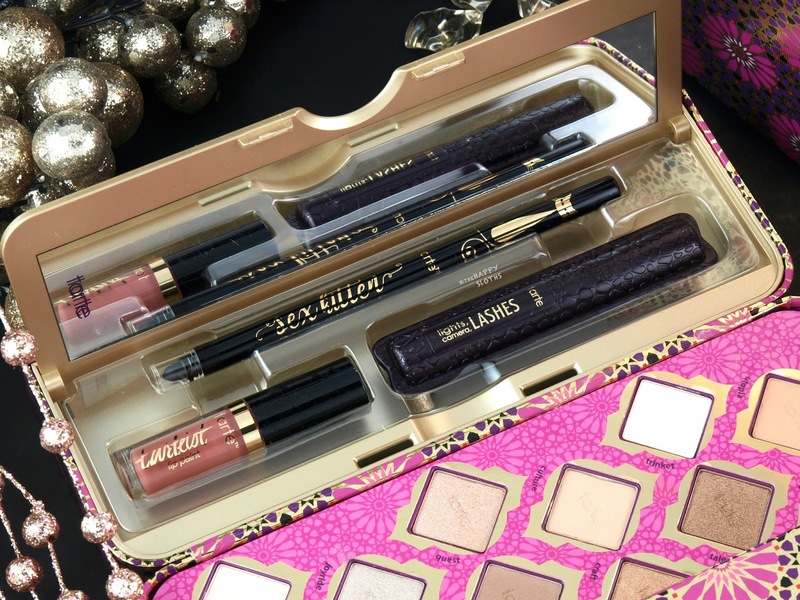 The eyeliner, liquid lipstick, and the mascara are kept in a separate compartment shielded with a small plastic lid. I find the design quite interesting as the cheek powders are the ones that could have really used a shield as the eyeshadows are fallout-prone. Nevertheless, the box is very well made despite incorporating both plastic and cardboard elements. 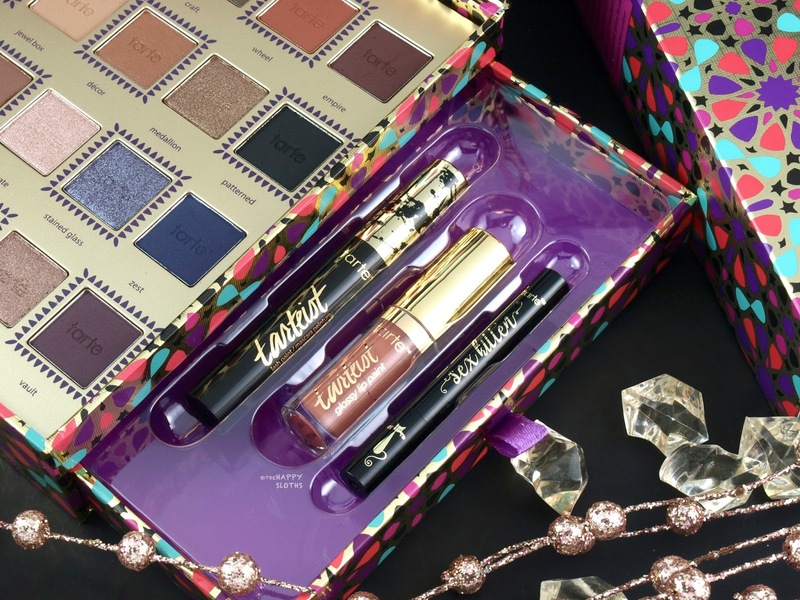 In contrast to the Tarteist Trove Collector's Set, everything with the exception of the eyeliner (made in China) and mascara (made in Italy) are manufactured in the USA. 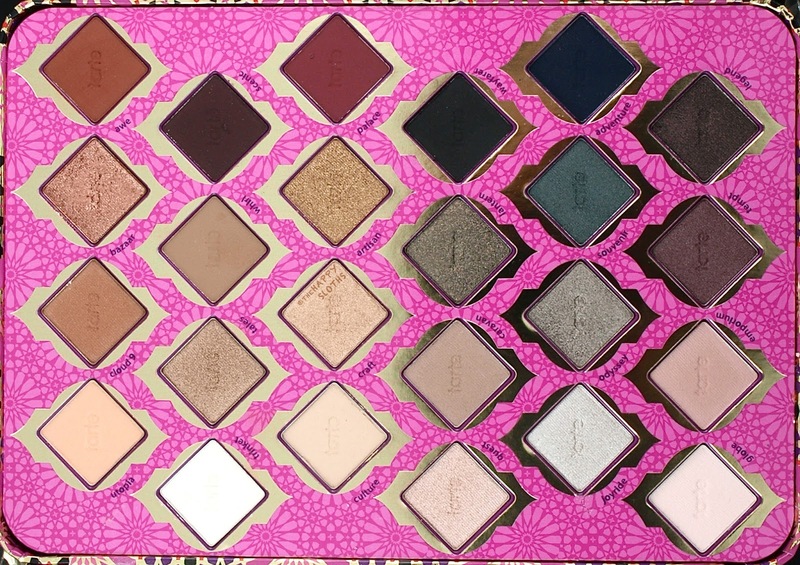 In terms of formulation, the eyeshadows are noticeably superior as compared to that of the Tarteist Trove palette. 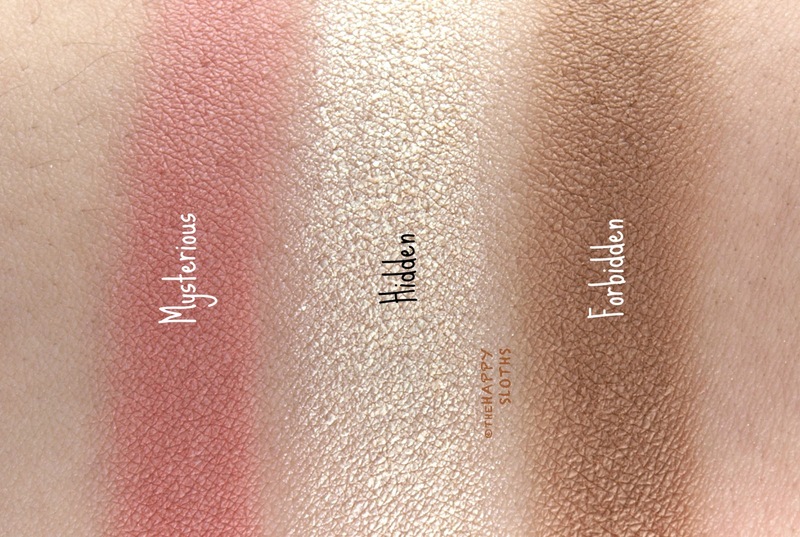 Instead of being chalky and patchy, even the mattes here are creamy and pigmented. Everything has a yummy cocoa scent and the color payoff is great. With that said, some of the eyeshadows, the shimmers and metallics especially, are very loose and fallout-prone. Just a gentle brush stroke will flick up quite a lot of powder. The cheek powders, on the other hand, are all pretty good. The blushes are on the sheerer side but they apply very naturally. The highlighter is nicely pigmented and the bronzers are smooth and even. Below is a look I created using "Adventure" as a base with "Lantern" and "Souvenir" built on top. The shadows blended very nicely and the pigmentation is very impressive! 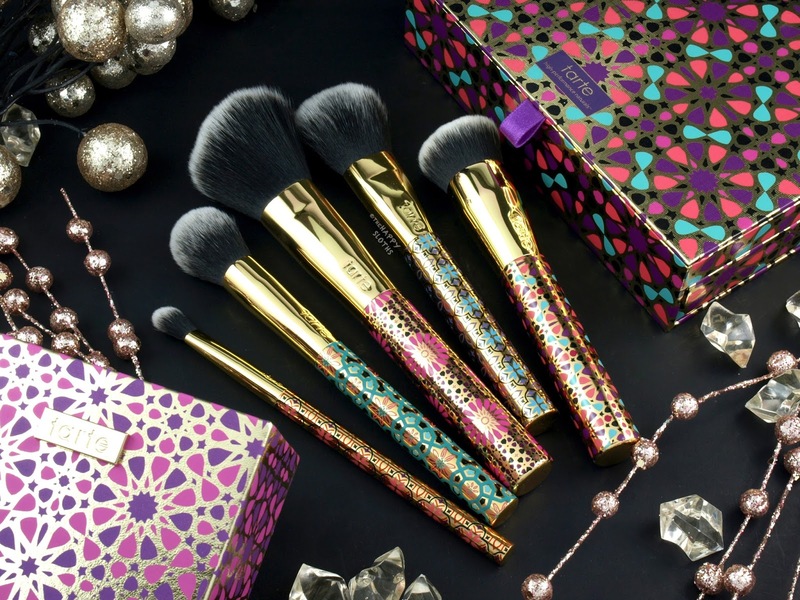 Made with beautifully crafted shiny gold handles embossed with colorful patterns, this five-piece brush set comes with a convenient cardboard holder. You get a fluffy shader eyeshadow brush, a small dome-shaped highlighter brush, a large slanted powder/contour brush, a tapered blush brush, and a dense foundation brush with a slightly slanted flat-top. While synthetic, the bristles are structured but soft and there is absolutely no shedding. This is a mini cream eyeliner set featuring four mini Tarteist Clay Paint Liners and a double-ended liner brush. I will be including this set in this year's 12 Days of Christmas Giveaway (see below) so I won't be swatching it here. However, if you are a fan of the full-sized Tarteist Clay Paint Liners, then definitely check this out! 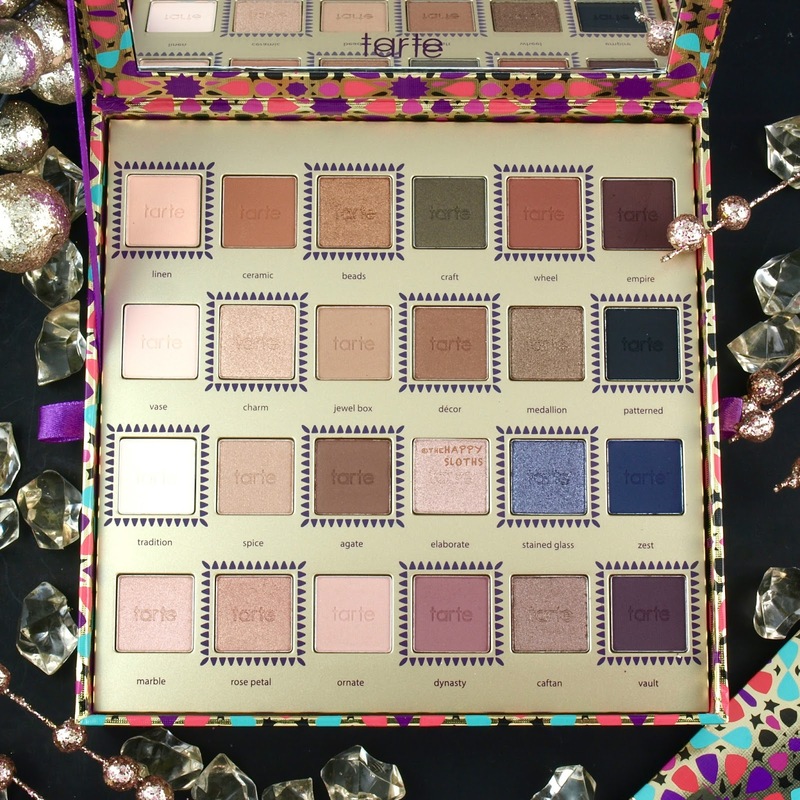 Have you picked up or will you be picking up any products from the Tarte Holiday 2017 Collection? Share with me in the comments below!